Work continues on the Hell Dorado Immortals Starter Set. 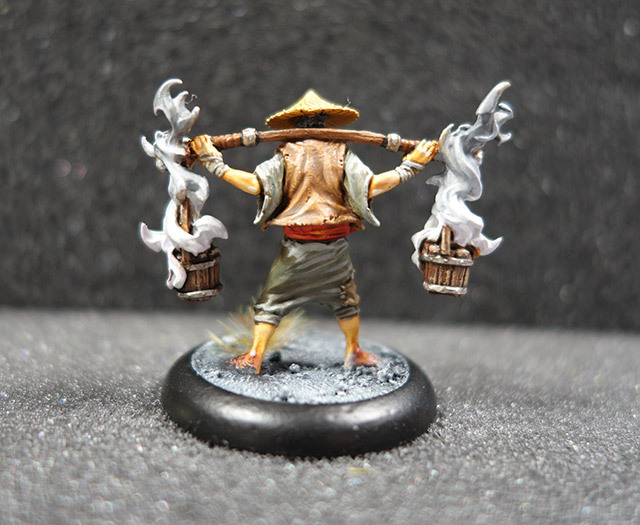 This next figure from the Immortals starter set is a lovely concept; a Chinese peasant worker shouldering a yoke from which dangle two buckets containing smouldering souls which can form a fetid mist to curse opponents. As usual, if you have any other questions about any of these paint jobs, feel free to ask in the comments below. The final Starter Set Immortal is next! Wow! That looks lovely. Nice soft natural colors. 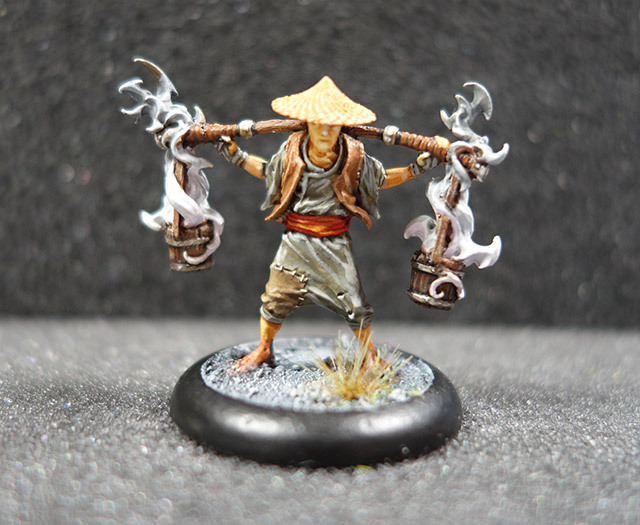 I’m very lazy with my miniature colour choices – I just follow the professional paint jobs! Looks great. Did you pin the connections to the buckets? I’ve had trouble getting mine to stay together. Nope, just sups glue. These models ted to be fiddly though, I’ve been using tiny blobs of green stuff as well as supa glue on some of the builds.